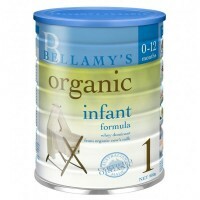 January 1st, brought in new rules to make choosing baby formula simpler and to return trust to the marketplace. About 1,400 baby formula products have been removed from shelves across the country as the China’s Food and Drug Administration introduced new regulations requiring factories making formula to register and pass safety inspections. 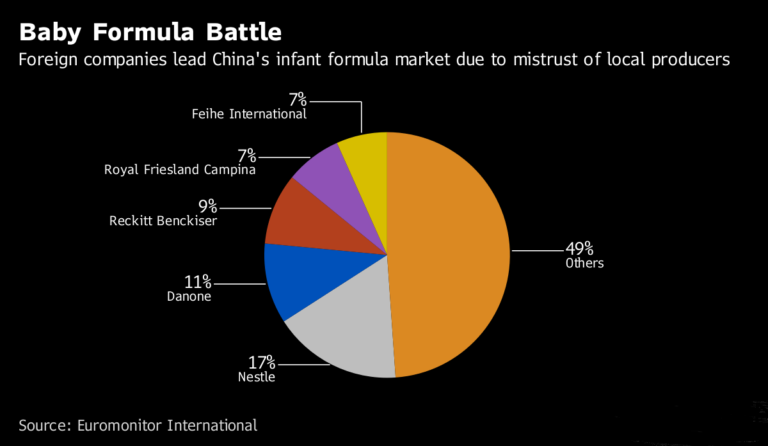 Companies are now limited to register a maximum of only three formula series in an attempt to overhaul China’s notorious baby formula industry that was rocked by a melamine poisoning scandal. Products not certified by the government are banned from sale. These products tend to be from smaller local brands that allegedly use generic powder, clearing the way for international brands such as Nestle and Danone to increase their marketshare in what is a US$20 billion market or about 40% globally. The new rules are in-line with President Xi Jingping’s goal to improve the quality of life for the Chinese people. The government is attempting to improve quality control by requiring factories to send formula samples to both the Chinese Inspection and Quarantine Academy and the Food and Drug Administration to stop a repeat 2008 melamine-tainted milk and formula scandal. Despite the new measures, authorities still face challenges in returning confidence to the sector. In November last year, Xinjiang Western Animal Husbandry was found to have used expired ingredients in more than 18,000 tins of infant formula. Chinese consumers have lost confidence in domestic food products and are purchasing more-expensive alternative foreign brands from western countries as they assume they contain better ingredients and pass much stringent safety checks. Consequently, companies exporting food items to China are experiencing higher revenues at the expense of local brands. Most investors know a2 Milk through its strong marketshare and brand recognition. However, New-Zealand based Synlait is not well-known outside of New Zealand. Synlait is a subsidiary of China-based Bright Dairy & Food Co., Ltd – its principle shareholder is the Shanghai municipal government. 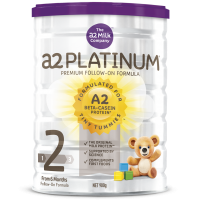 In 2012, Synlait entered into an agreement to supply and process a2 Milk Company’s Platinum infant formula range. Given China’s continued demand for Australian and New Zealand based dairy products, HXL maintains our ‘Hold’ rating for a2 Milk Company (A2M:AU) as we see some short-term volatility as some investors may sell to take some profits after registering a 261% gain in 2017. 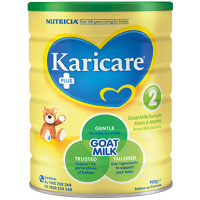 We do not believe that the share price can achieve the same returns as last year but will record a modest 15% return this year as the company builds upon its 3.5% infant formula marketshare in China. We forecast that a2 milk can double its marketshare within two years provided China’s domestic economy and consumption remains robust with its growing middle-class continuing to purchase overseas food products. HXL also maintains our ‘Hold’ rating for Synlait Milk (SM1:AU) after registering a 120% gain in 2017. Although the company announced an increase in profits, reduced debt and received approval from China to maintain exports of infant formula into China, there are some risks associated with its recent partnership with Foodstuffs South Island Limited and that CEO John Penno announced he would be stepping down. Overall, we see foreign companies positioning themselves to target parents through mother-baby retail chains, such as Babemax and Kidswant especially in China’s secondary and lower-tier cities. 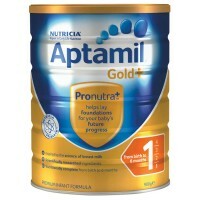 These stores account for half of all infant formula sales. With the relaxation of China’s one-child policy and continued Chinese parents concerned about food safety, companies like Reckitt Benckiser (Enfa/Enfinitas), Nestle (Illuma/S26) and Danone (Nutricia) are reassessing their sales strategies and reviewing current product lines in anticipation of a 7% annual growth rate in the infant formula sector over the next five years.